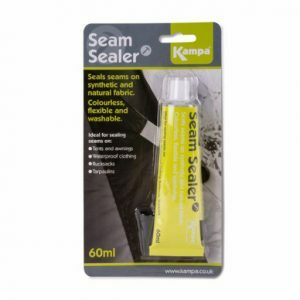 View basket “Kampa Seam Sealer 60ml” has been added to your basket. 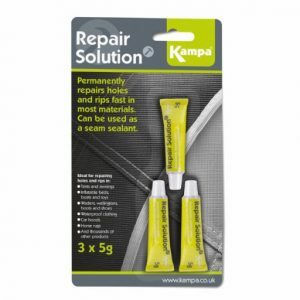 Kampa Repair Tape is a exceptionally sticky, flexible, waterproof and airproof tape that will adhere to most surfaces for fast, extremely durable repairs to thousands of items. The tape is matte and provides an almost invisible finish meaning that there’s no need to colour match the tape. 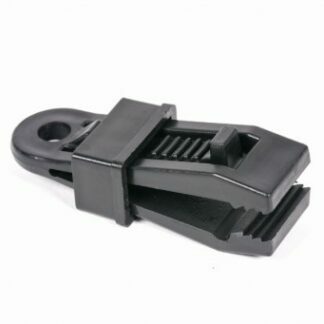 It’s also great for transparent surfaces, like tent windows and the rear window on car hoods. Kampa Repair Solution will adhere to almost any surface for fast, strong and extremely durable repairs to thousands of items. 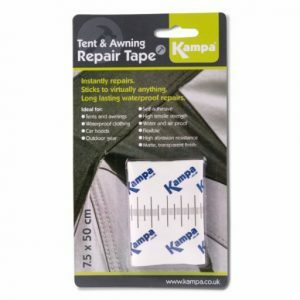 Ideal for sealing and repairing holes and rips in tents, awnings, inflatable products including tents, boats, toys and airbeds, self inflating mattresses, waterproof cloathing, wellingtons, waders, boots and shoes, car hoods, horse rugs, umbrellas, sails, bags, paddling pools, water sports, fishing and hunting gear. 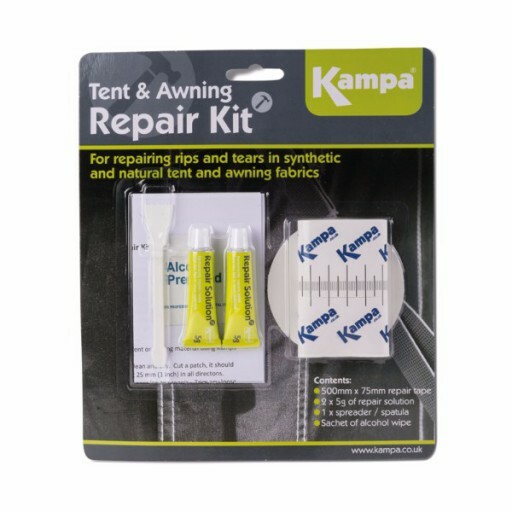 Kampa Repair Tape is exceptionally sticky, flexible, waterproof and airproof tape that will adhere to most surfaces for fast, extremely durable repairs to thousands of items.